You all remember the Dungeon Keeper games, right? No? Damn kids. Okay, how about Dungeons? If you’re too young to remember that one then congratulations, your reading skills are way above average for your age. Well, A Game of Dwarves is a bit like them, only with dwarves and a z-axis. 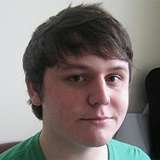 Created by Swedish developers Zeal Game Studio and published by prolific strategy and sim developer/publisher hybrid Paradox Interactive, A Game of Dwarves is a 3D dungeon building/exploring adventure/sandbox game, which borrows many of its core mechanics from the aforementioned Dungeon Keeper series, as well as elements of Minecraft and other more free-form games. Its primary campaign mode casts you as the young dwarven prince <your name here>, instructed by your father, the king, to reclaim your lost kingdom from the evil mages, because apparently he’s too lazy to do it himself and, presumably, has a lot of sons to spare if you turn out to be useless at it. To this end, you are deposited into a series of rather unimpressive underground habitats with a small band of subservient dwarves and must explore, expand and build to achieve your mission objectives. In addition to your core objectives there are extra, optional ones in each level, which reward you with Influence when completed; this Influence can then be spent in order to give you starting bonuses such as extra resources or pre-unlocked research to carry into each subsequent mission. In order to succeed in your quest you will need dwarves, lots of dwarves, which is handy because you’ve got them; each new dwarf begins life as a baby Dwarfling who will wander around your homestead eating your food, sleeping in your beds and periodically leveling up. At any point, you can upgrade your Dwarflings to take on one of the five basic classes: Diggers (who dig), Workers (who gather food), Crafters (who build things), Military (who hit things) and Scholars (who do research), who take on that Dwarfling’s level and from then on only gain experience by carrying out their designated duty, meaning that the longer you wait before choosing a class, the better they will be at it. Paying to upgrade your spawning pool will allow you to support a larger number of dwarves, and, while you can make do without in the beginning, those extra hands become essential as the game progresses. Exploration and resource-gathering are one and the same, with you marking blocks of earth for your diggers to chip away at, ascending or, more commonly, descending as required to follow veins of precious metals or simply to dig out a bigger throne room for your prince. Even the basic maps are huge, potentially taking hours to fully explore, something which is often a necessity due to the semi-random distribution of resources, and herein lies my first problem. It is all too easy, even at an early stage in a level, to dig your way into a room full of enemy creatures, and once that room is ‘open’ your options are limited to either defeating them with your (probably) under-leveled & under-equipped military, or watching your dwarves get slaughtered and your home ruined in short order. 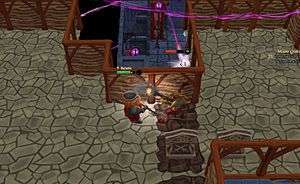 Simply removing ladders or placing obstacles is insufficient as the enemies will happily teleport past them, and doors or traps aren’t viable options until the mid-late stages of a level. 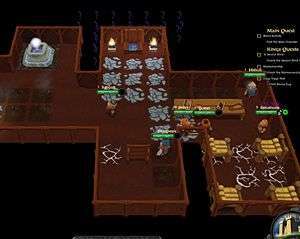 This will usually lead to an effective game over because even if your prince and some of your dwarves survive, the enemies will likely have destroyed your key items (food tables, fertilizing stones, log plants, etc) leaving you without the means to feed your dwarves or the ability to acquire the resources needed to replaced the damaged goods. It is also all too easy to trap your dwarves while exploring without realising it, meaning that they’re unable to get back to find food or somewhere to sleep, and the notifications can be rather subtle to the extent that on several occasions the first thing I knew about it was when I stumbled across a small collection of gravestones where my diggers had been, five minutes previously. On the upside, all this gives you the opportunity to construct some very attractive memorials. On the subject of aesthetics, the game makes use of a cartoony visual style and while the graphics aren’t going to set your PC on fire, they’re fairly pretty, perfectly functional and more or less in line with what you’d expect from this class of semi-indie game. Despite the relatively basic level of detail, I did start to notice a little bit of chugging once my settlement got beyond a certain size and I suspect that it’s only going to get worse as I add more rooms with more items; on a few of these occasions I also started suffering from missing textures on some resource blocks, though saving and reloading seemed to fix it. The graphical options are rather limited, which is a shame because I would really like to be able to up the draw distance beyond the six or so floors that it currently renders at any given time; while I can see that it could make it overly cluttered and tricky to navigate on larger maps, it would be nice to get a sense of the true scale of your environment. 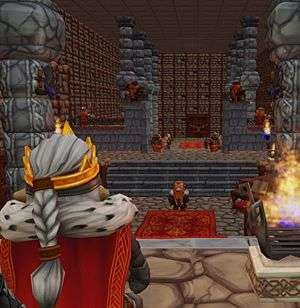 There are a dizzying array of cosmetic items available for you to use for decoration, including plants, rugs, wall coverings, columns, braziers, piles of gold and miscellaneous furniture, providing you can afford the necessary resources to construct them, with most of them generating a small boost to your dwarves’ happiness. As is now apparently mandatory, the game features a micro-transaction based store, which allows you to buy additional cosmetic items (as of writing there are also a number of packs available for free) though it’s not yet clear if this will be expanded to include functional items or additional story content at a later date. If you’re more of an interior designer than a quester, the Custom Game mode hands you a sandbox-esque environment to work with, including an option to turn off enemies for a nice, safe playground. As I discovered while halfway through constructing a quite monumental obsidian spiral staircase that plunged 20 floors down through the centre of my main hall, this does not turn off the generation of the rooms in which enemies would normally spawn, which will quite often spoil your carefully planned architectural masterpieces by putting random holes in your floor or walls as you’re digging them out. I can’t help but feel that the game is crying out for a “designer” mode, where they give you a blank canvas and unlimited resources with which to construct the epic dwarven fortress of your dreams. Speaking of Dwarf Fortress, the comparison is bound to be made at some point so I might as well make it here; in many ways A Game of Dwarves is like a (very) simplified Dwarf Fortress in that it allows you to lay out your fortress however you wish and has you training your dwarves, growing food for them, gathering resources and fighting off intruders with traps and big axes, though it clearly lacks many of the more sophisticated mechanics that make Dwarf Fortress so impenetrable to the average player, and so is far more approachable. Overall, A Game of Dwarves is a solid, if unspectacular, game and while there’s plenty of content to play through it would have been good to see a little more variety in terms of the mission objectives, as most of them do ultimately boil down to “explore at random until you find an item or enemy that you need to collect or kill”, with a couple of “build x wardrobes” or “research nose-hair trimmers” sub-objectives to pad things out. If there were a true sandbox available then I could quite easily see myself coming back to the game every so often just to have a play and try out some new layout and design ideas, but as it stands the limitations in the custom game mode are likely to make it too frustrating an experience for me to bother with frequently. I will, however, keep an eye on the game’s development and patching to see if they address any of these issues in the future. 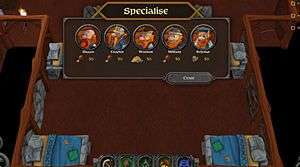 A Game of Dwarves is a welcome return to the world of underground exploration, construction and killing without falling into the trap of simply trying to emulate Dungeon Keeper. It's easy to pick up and will keep you engaged and entertained for some time with its sizeable campaign and custom game mode, despite a fairly limited range of gameplay and graphical options. There's a lot of humour and pop culture references to be found amongst the dwarves with some - such as the x-wing in the intro cut-scene - being rather obvious, while others - such as the nods to Portal 2 and power metal band DragonForce - are a little more subtle, and, while they don't always fit thematically, they don't feel out of place in a game that doesn't try to take itself too seriously. There are a few bugs and performance issues that will hopefully be fixed in future patches and several design issues (such as interface cues), not to mention some catch-22 game over situations that might be more difficult to resolve, but not impossible. If you like your sim/exploration games and/or dwarves then it's worth picking up and having a play with. Even though it probably won't have a long lasting appeal once you've had your fill of dwarven architecture, at less than £8 you're still going to get your money's worth. This sounds like a heck of a lot of fun, and if I had the time and a severely reduced pile of shame I’d gladly take it on!